Sweet sweet Taco, I love you so, let me eat you in one go. OK the rhyme is lame but Tacos are my game. Oh Stop already. Just make Taco's and be happy! In a bowl, combine HELLMANN'S Real Mayonnaise and KNORR Lime Powder. 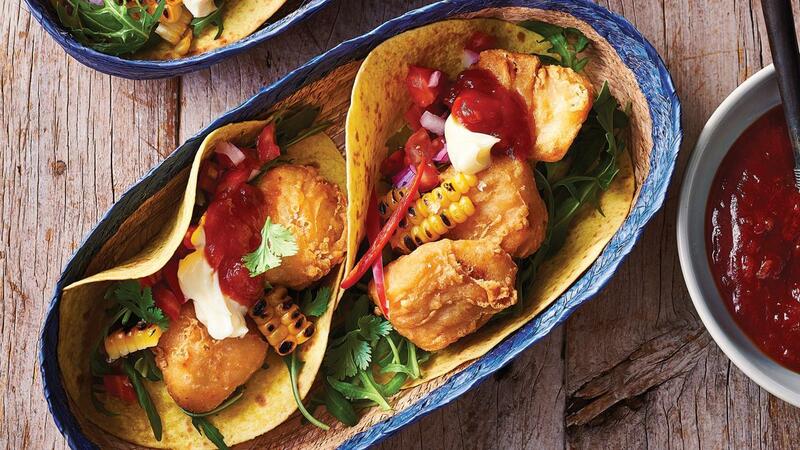 Place fish and other ingredients in tortillas, top with Lime Mayonnaise and KNORR American Tomato Chilli Relish GF.